What do you get when you cross a Ferrari with an F-117 Nighthawk and a AH-1 Cobra? A hell of a weird car. 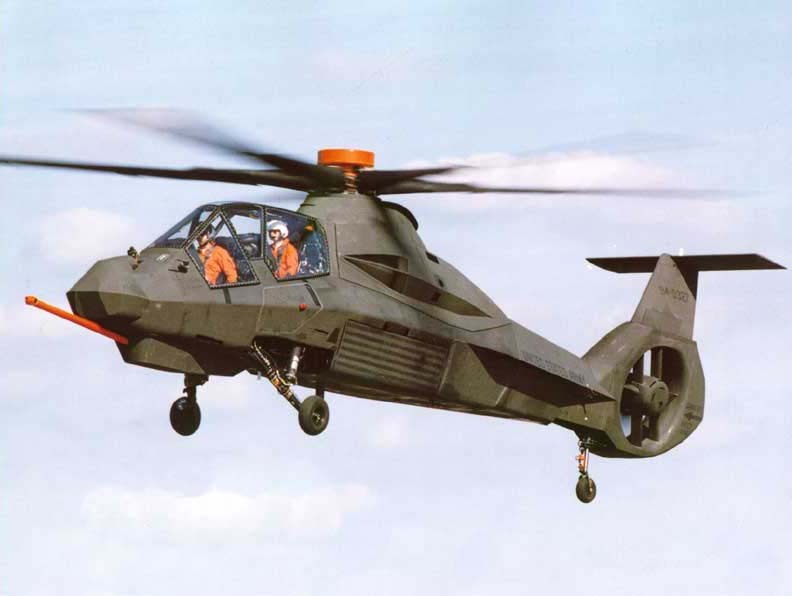 Or, the RAH-66 Comanche, a stealth scout/attack helicopter that just never was meant to be. The program that birthed the Comanche was known as Light Helicopter Experimental (or LHX for short). Prior to its initiation in the 1980s, the Army recognized a number of flaws in its process of outlining requirements for the aircraft (namely helicopters) that it wished to acquire. The review that brought about these findings also described the perceived inability of upper-echelon aviators in charge of such projects to think outside the box, always restricting their vehicle designs to be capable of fulfilling narrowed objectives. Additionally, with American involvement in the Vietnam conflict now long over, scores of Bell AH-1 HueyCobras and OH-58 Kiowas were aging in Army squadrons, their roles slowly being encroached and undertaken by newer aircraft, especially the brand spanking new AH-64 in the attack role, which eventually completely replaced the AH-1. The brass in the Pentagon decided that it was time for a new helicopter that would consolidate the roles of the UH-1 Iroquois, the AH-1 and the OH-58 (utility, attack and scouting, respectively) into a set of two highly-capable airframes that could do virtually anything the Army asked of it, functioning as a Swiss Army Knife of sorts for the service. This new helos would conform to the emerging AirLand Battle Doctrine of the 1980s and would also allow for greater integration with ground and naval units. It was time for the Army’s procurement gurus to start thinking outside the box. 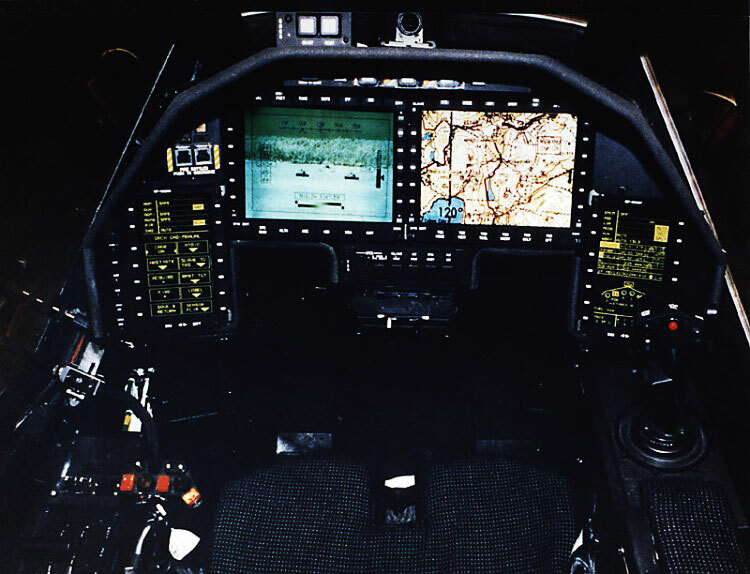 Originally, the Army wanted two airframes that shared a great deal of commonality with parts with each other, exactly like the UH-1 and the AH-1, and to a limited extent, avionics compatibility with a different aircraft in development at the time… none other than Lockheed Martin’s F-22 Raptor. One, like the Huey, would fly as a multipurpose utility platform, while the other, like the Cobra, would fly as an attack/scout aircraft. Both were to be built of composites, reducing overall costs and weight. To assist with the introduction of all-composite airframes, the Army brought about a concurrent project, the Advanced Composite Airframe Program, that saw the creation of two experimental helos built overwhelmingly of composite materials like Kevlar and reinforced graphite/epoxy blends, the Sikorsky S-75 and the Bell D-292. While Sikorsky considered the S-75 was considered a veritable success, the Army still failed the aircraft as it exceeded certain weight limitations imposed. However, the knowledge gained from the design and construction of the S-75 was incredibly useful and beneficial to Sikorsky, especially for their next goal: earning the LHX contract. In 1988, the Army removed the requirement for two separate airframes and decided to focus solely on creating an attack/scout while pursuing the H-60 Black Hawk from Sikorsky as their versatile, do-everything utility helo. A Request For Proposals (RFP) was issued in June of that same year and partnerships between established defense contractors were formed, notably between Boeing and Sikorsky and Bell and McDonnell Douglas. The Bell/MD design was considerably unique and futuristic. It lacked a tail rotor, using a NOTAR system in its pace. It had an advanced cockpit with an in-house developed Automatic Flight Control System which allowed the pilot to focus his efforts elsewhere while the aircraft flew itself with precision. Interestingly enough, Bell and MD engineers decided to remove the traditional cyclic, collective and pedal systems that you’d normally find in the cockpit of a helicopter and instead use a four-directional joystick that would incorporate the end-result functions of all the traditional vertical and forward-movement controls into one setup. 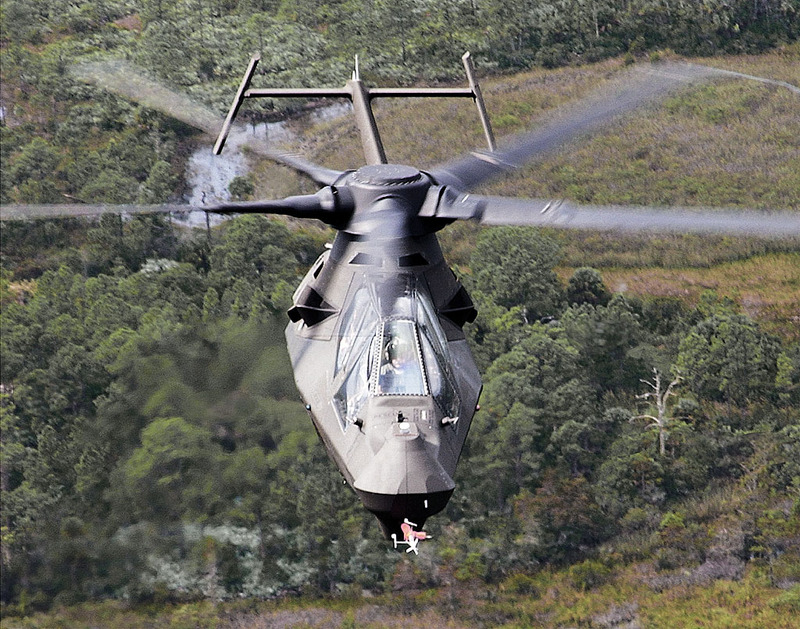 However, Boeing-Sikorsky’s idea was far more practical and feasible to Army and DoD officials. A composite airframe with interior weapons carriage, as well as a fenestron tail rotor and a glass cockpit linked up to ultra-advanced sensors in the nose and above the main rotor of the aircraft. In 1991, Boeing-Sikorsky’s model was selected as the winner. This newfangled helo was to be called the RAH-66 Comanche. In 1996, on the 4th of January at Sikorsky’s Development Flight Test Center in West Palm Beach, Florida, the first Comanche was wheeled out and pilots Bob Gradle and Rus Stiles seated themselves in the tandem cockpits. Before long, the five blades of the main rotor bit into the southern sky and the world’s first and most advanced stealth helicopter maid its inaugural flight. The prototype Comanche featured many of the original design projections that Boeing-Sikorsky had originally presented to defense officials overseeing the program and more. Its smooth yet sharp surfaces were shaped to reduce radar cross-section significantly, the entire airframe was coated with radar-absorbent material, and top it off, the entire helo was painted over wish infrared suppressant paint. Included was the promised glass cockpit, highly sophisticated navigation gear and a digital flight control system. The Comanche carried a 20mm three-barrel cannon mounted under its chin and could store six AGM-114 Hellfires or twelve AIM-92 Stingers in its internal bay. Wings could be added on either side to increase the weapons loadout. The specially-designed engines built into the helo reduced the noise signature immensely as well, and would assist in bringing about a max ferry range of over 1200 nautical miles; meaning that the Comanche could pretty much fly across the ocean on its own, should there be no larger transport to ferry the airframes overseas when in need. All of these various features came together to make the entire aircraft just as stealthy and deadly as the Native American warrior it was named for. After the contract was awarded in 1991, the weight of the helo and its overall costs rose steadily. The Army wished to buy over 5023 units at first, then reduced their planned numbers to 1213. Not too long afterward, the final planned procurement number was 650 while the unit cost jumped from $12.1 million to $58.9 million (USD). $38.9 million more than the unit cost of an AH-64D Longbow Apache, the very attack helicopter the Comanche was to designate targets for when it finally made its way to the battlefield. However, the Comanche’s battlefield debut was never to be. In late February of 2004, the US Army publicly made known their decision to kill the Comanche and reallocate funding towards modernizing its current fleet of helicopters and hastening the development of UAVs for immediate deployment to Operation Enduring Freedom and Operation Iraqi Freedom in the Middle east. After sixteen years, the LHX program had only two prototypes to show for over $6.9 billion dollars invested. The project requirements were judged to be resultants of “groupthink” where all involved in the decision-making process conformed to unoriginal ideas, hindering and stunting the potential of an aircraft was supposed to be the next revolutionary step in rotary aviation. 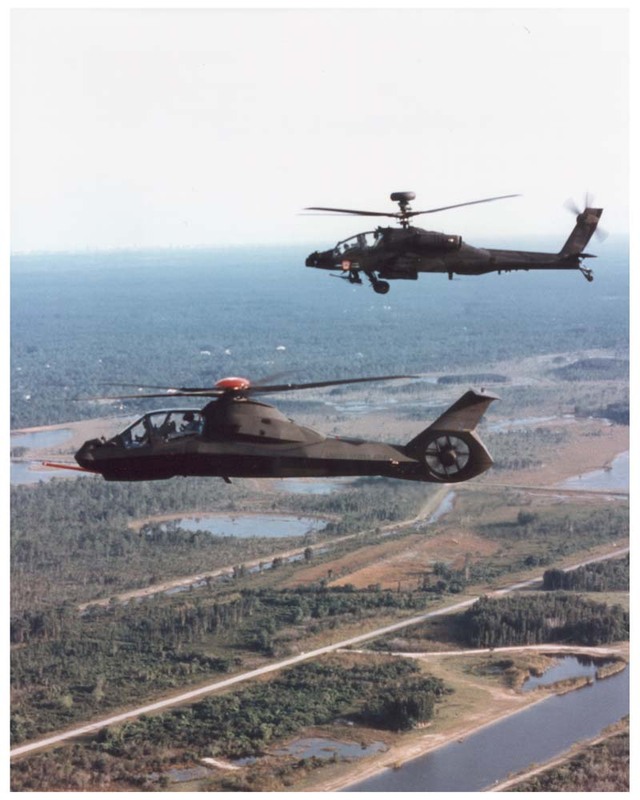 The Bell ARH-70 was the Army’s replacement for the scout mission the Comanche was first supposed to partially undertake. It would nudge the OH-58D Kiowa Warrior out of service, but it too was axed in 2008. Ultimately, the attack/scout stealth platform idea was done away with after 20+ years of work. The Comanche’s death wasn’t necessarily in vain, however. In the same way that its parent aircraft, the S-75, yielded valuable lessons on the use of composites in the construction of helicopters, the RAH-66 taught the US military and its various aviation defense contractors even more about the design of the ideal attack/scout helo and the inclusion of stealth technology on helos. In the 2011 Bin Laden raid, the 160th Special Operations Aviation Regiment was said to have flown “stealthed-out” MH-60 choppers, ferrying over US Navy SEALs from the highly secretive DEVGRU, the helos being a later relative of the Comanche, an aircraft that just never had the chance to live up to the hype and prove itself in the ever-changing world of military aviation.